The J-Spec Header Outlet Flange Kit was designed to make it easy to install Vibrant’s J-Spec Headers or any header with a 2.5” outlet. 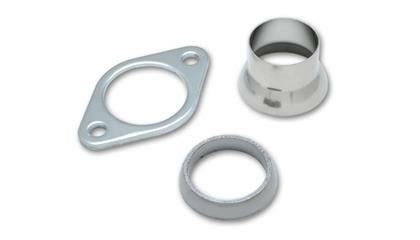 This kit consists of a 2-bolt connecting flange (with a flared outlet neck) and a 2-1/2” I.D. donut style Graphite Gasket. This flange will work with OE or aftermarket Spring Bolts.